where they are used on cover as cachets. For the full benefit from this section, please refer to the print Catalog, pages 30 through 35. "Known" means known to the author at the time of publication. 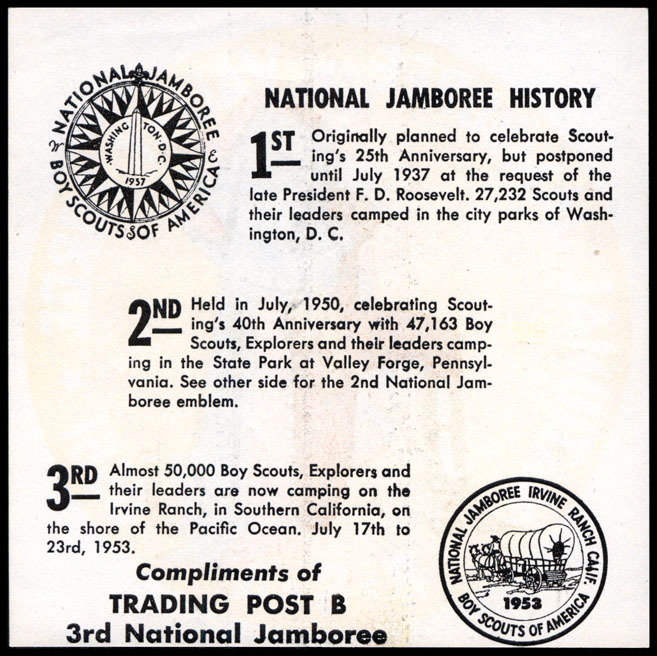 Labels are shown with a black border added. Exceptions are noted. (Envelopes are the sole exception.They are Height x Width). usually appearing in the lower left corner. 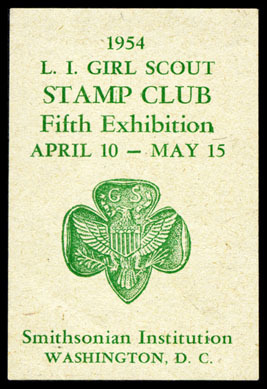 The Girl Scout stamp is B-1, The Boy Scout stamp is C-1. Record. 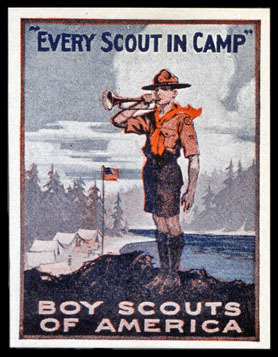 The Boy Scout stamp is known on a 1915 cover back as a seal. ex Walter Grob. 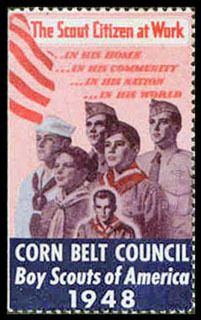 No examples are known on cover. Straight edged perf. 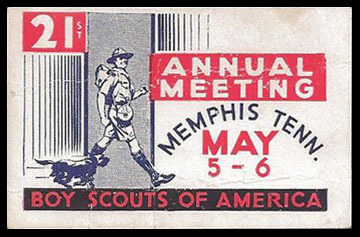 sheets of 24 different, only some of which showed Scouts and the LSA Emblem. 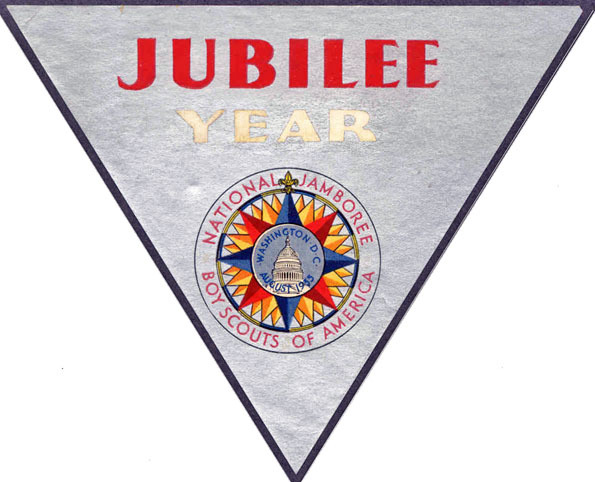 By Lone Bear Tepee, Chicago, IL and sold nationally. See it on 20-0.1 in the 1920s decade in "Additions". 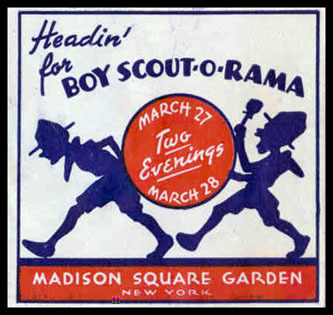 in articles in the Feb, 1920 edition of Associated Advertising & the Jan, 1920 edition of Advertising & Selling. 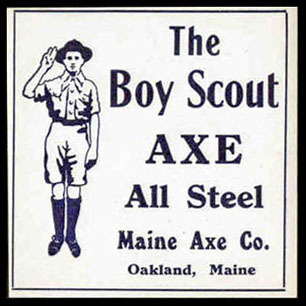 The label itself is written up in Scouting Magazine, Vol. 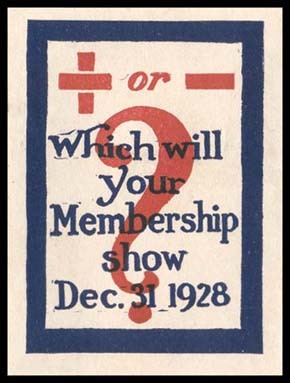 8, #1, Jan 1, 1920, p11 & Vol. 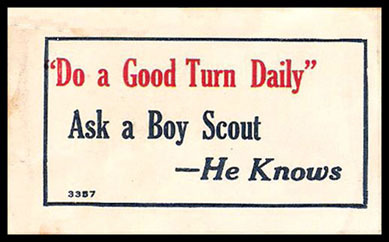 8, #2, Jan 15, 1920, p8. Same size as S26-1 as listed in the print Catalog. See it on 27-0.1 in the 1920s decade in "Additions". 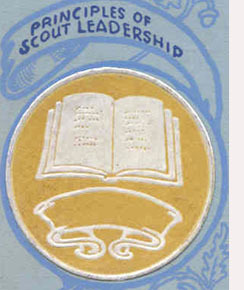 Only known used as seal on cover back. 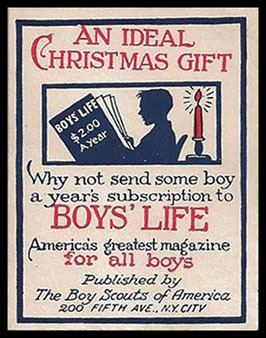 Boys' Life "An Ideal Christmas Gift"
See it on 25-4 in the 1920s decade in "Additions". See it on 26-2.1 in the 1920s decade in "Additions". for attachment to, for example, inside of a window. Back is ungummed. 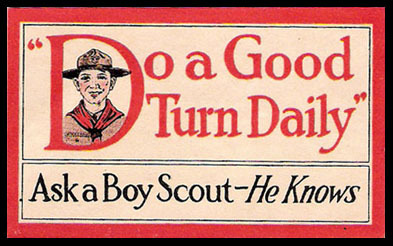 Red text at bottom: "Issued with approval of the Boy Scouts of America". Green background used for clarity. Label is large & is here reduced in size by 1/3. 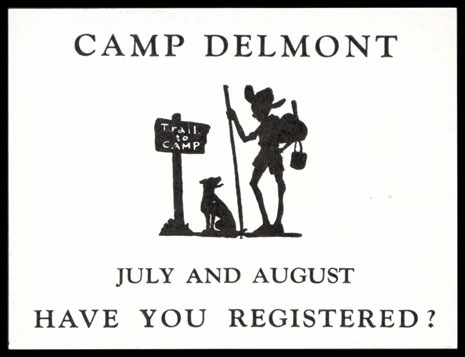 Norman Rockwell art. 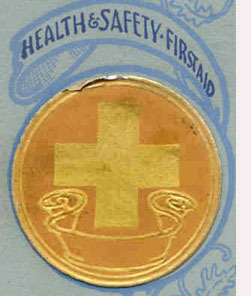 Also used by Bauer & Black for May 1-8, 1926 Boys & Girls First Aid Week. 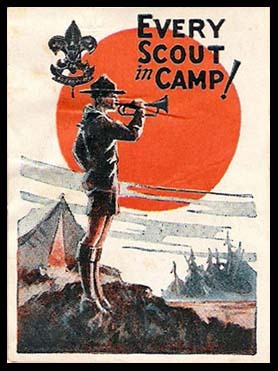 Every Scout in Camp ! 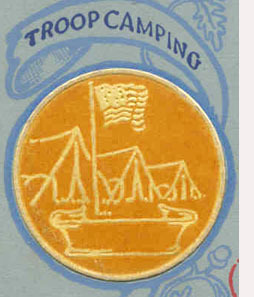 Used as seal on cover back. 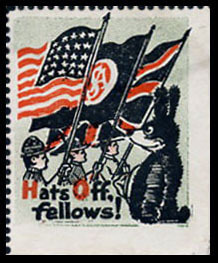 Used as seal on National Council #10 envelope corner card cover back 12/07/28. Girl Scouts ringing Liberty Bell. 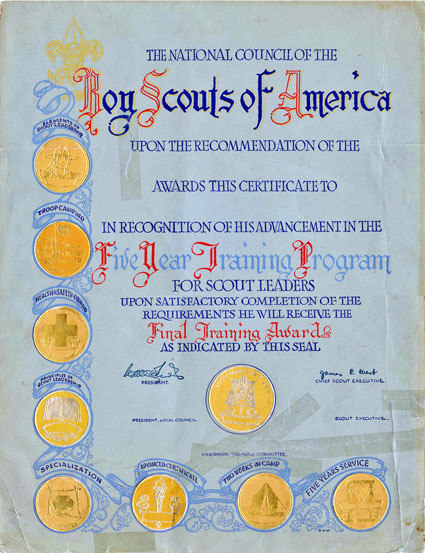 Set of 9 Seals for the "Five Year Training Program" Certificate. 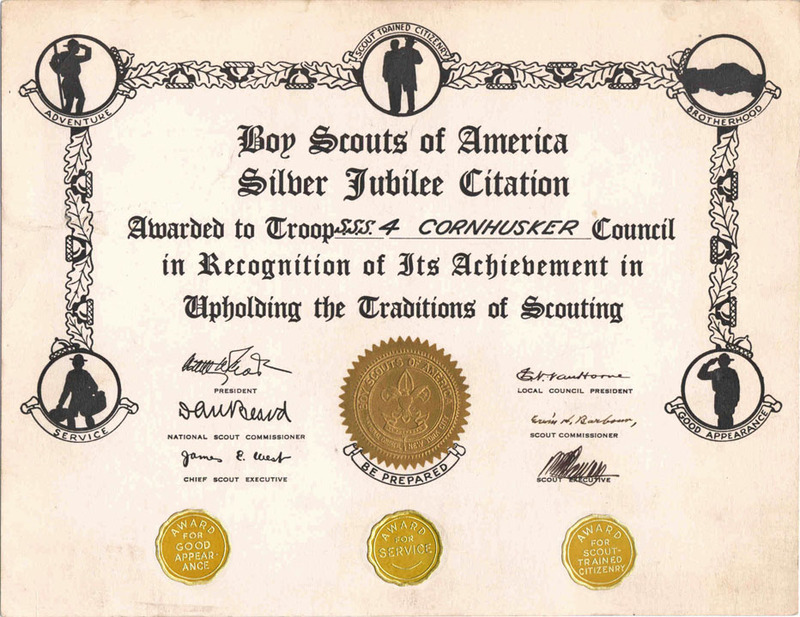 They are all shown adhered to a Certificate. 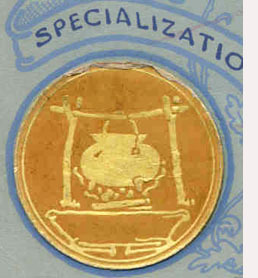 Of the set, S30-3 is the only seal recorded on cover. 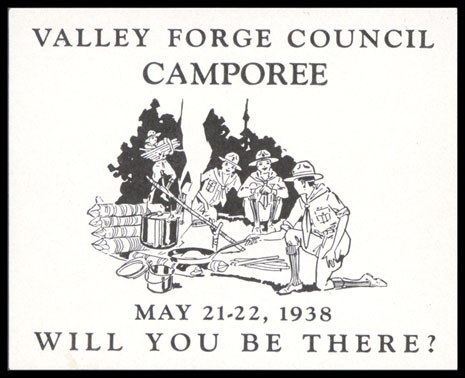 See 30-1.1 in the 1930s decade. 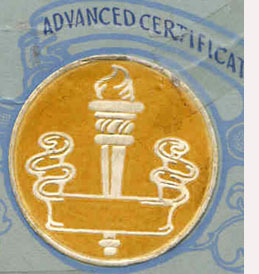 Certificate is 10¾" x 13⅞" on heavy blue paper. 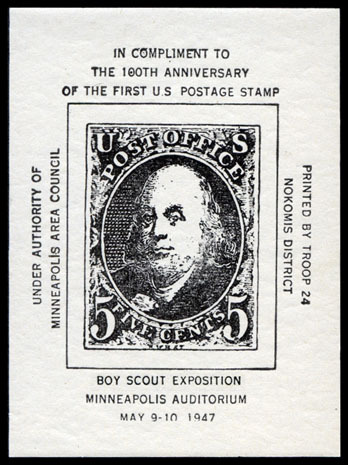 This unissued example was prepared to serve as a display. Listed in Print Catalog without image. 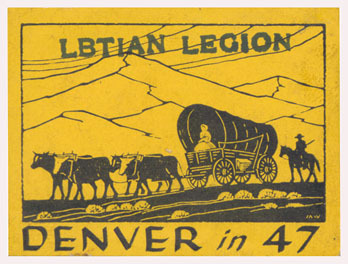 The black border is part of the label. 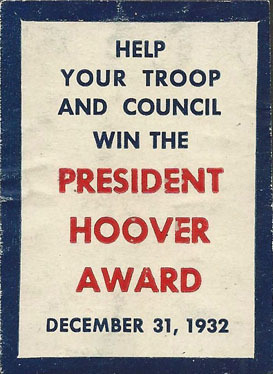 Issued for the "Nationwide Good Turn" ordered by the President. No examples are known yet on cover. The set of 3 baggage labels are large and are here reduced in size by 1/3. 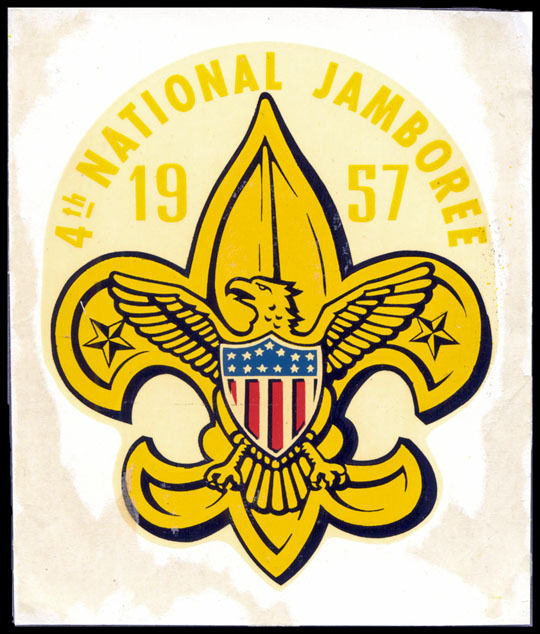 The circular emblem cut from this label is used for the cachet on #35-13; an Ex Walter Grob cover. 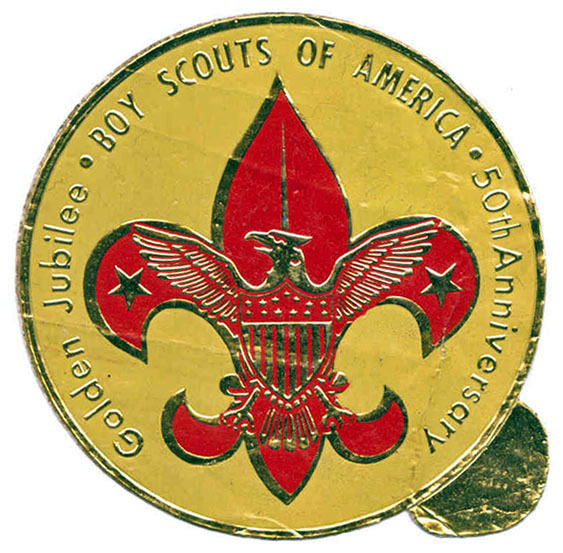 3 of set of 5 Seals for the "Silver Jubilee Citation". 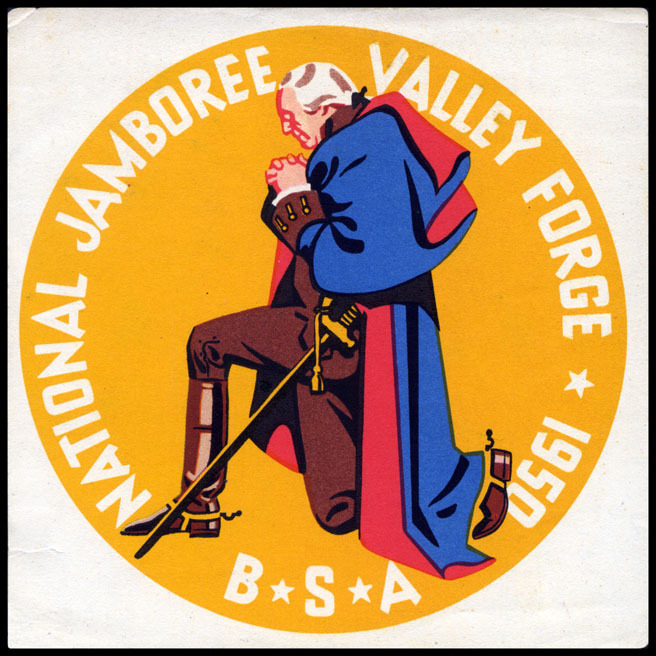 S35-7,"Adventure" & S35-8, "Brotherhood" remain unrecorded. Seals are 1" Diam. gold on gold foil. They are all adhered to the Citation shown below. 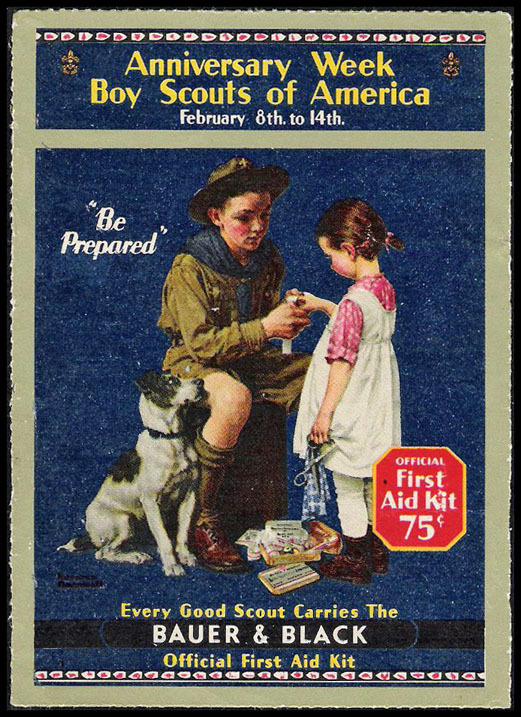 The Citation measures 10⅞" x 8⅜" The "Be Prepared" seal is embossed in the paper. 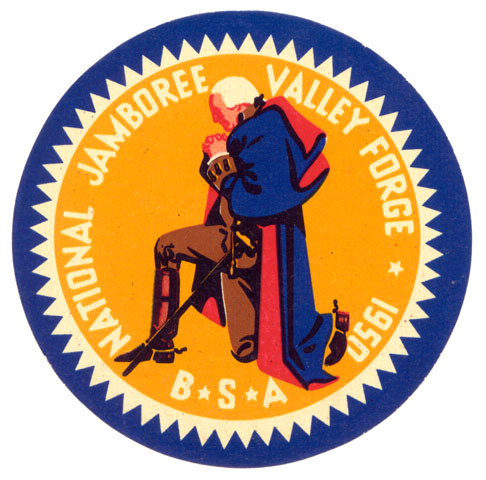 37-2 (Blue) is shown here for comparison & appears in the Print Catalog. 37-2a (Red) is the addition. No example is known on cover. 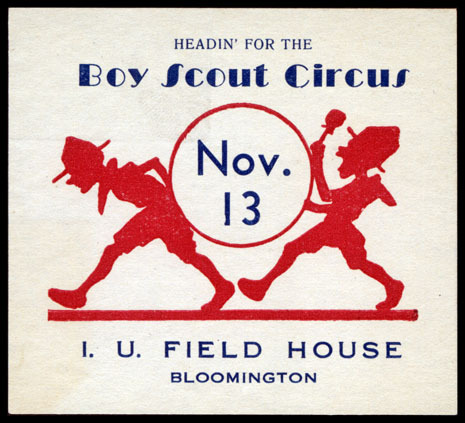 11/13/37 Bloomington, IN Not recorded on cover. Decal Orange, red, black & gold Size 2.94" x 1.72"
Meyercord Co., Chicago, IL Kwikway Name Plate 6/18/37 Not recorded on cover. 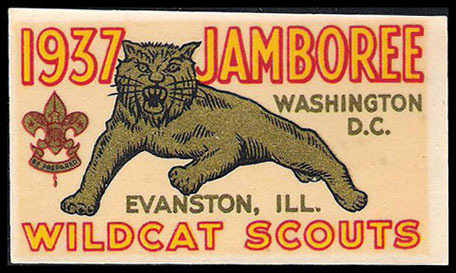 Northwestern University is in Evanston & their teams are the Wildcats. 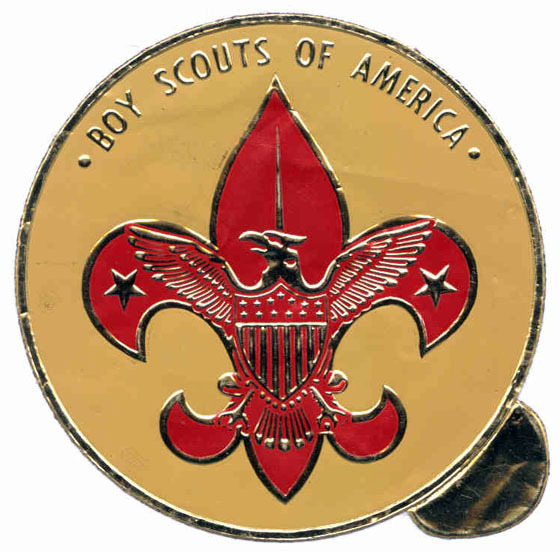 BSA. 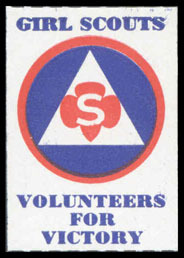 S39-3 & S39-4 known cut down & used on covers. See 50FD-82 & 50FD-83 in the print catalog. 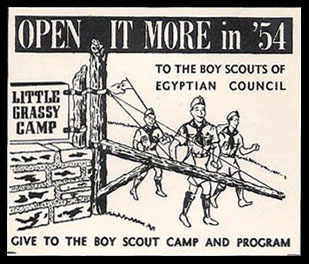 See it on 39-2.1 in the 1930s decade in "Additions". 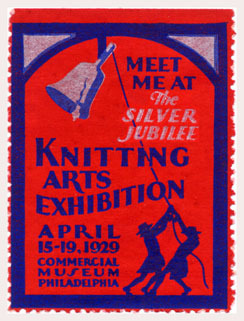 Printed by Graham & Graham, Manhattan, KS. Listed without images in the Print Catalog. 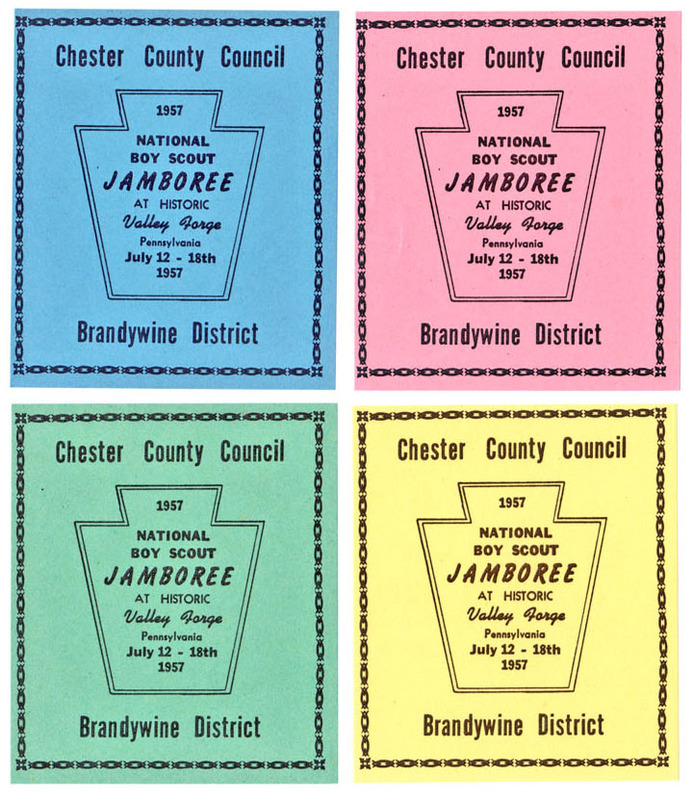 Multicolored Printed Size 1.75" x 2.75"
See them in the 1940s decade. 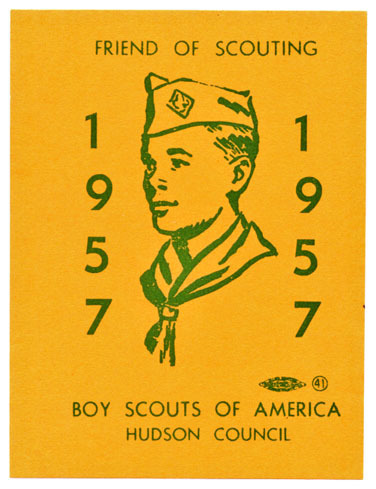 Correction: For S43-3 Boys' Life Week in the Print Catalog, change the first known year of use from "1943" to "1937". 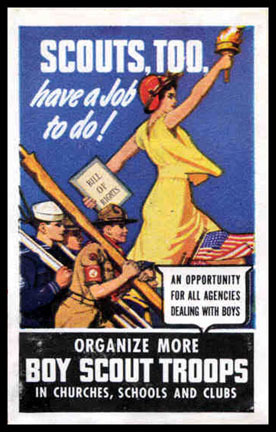 See it in the 1940s decade. The "V" stood for Victory. 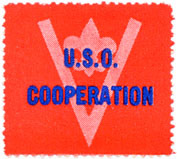 U.S.O., now USO, stands for "United Service Organizations". 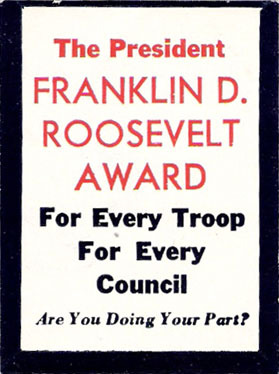 The organization supports American Troops. Not recorded on cover. 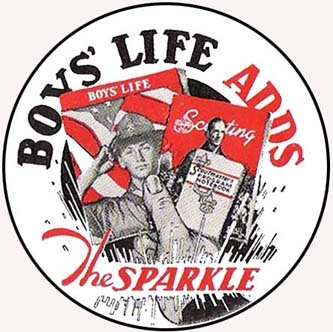 Correction: For S44-1 Boys' Life Week in the Print Catalog, change the first known year of use from "1944" to "1939". 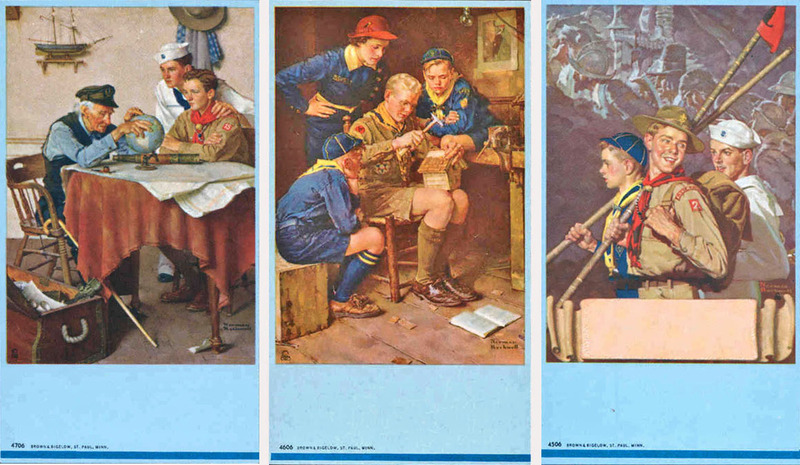 Correction: For S45-1 Boys' Life Week in the Print Catalog, change the first known year of use from "1945" to "1938". 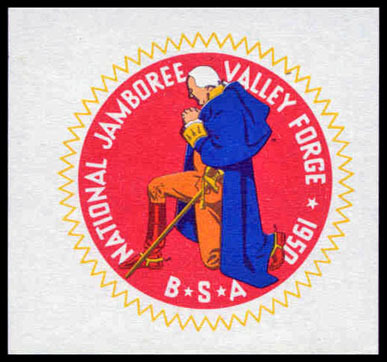 Example on 45-3. 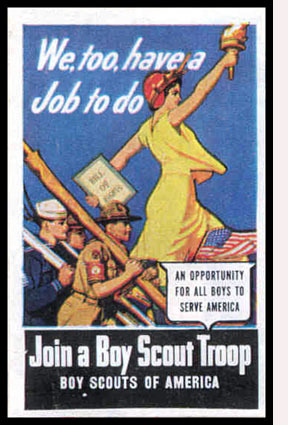 See it in 1940s decade. 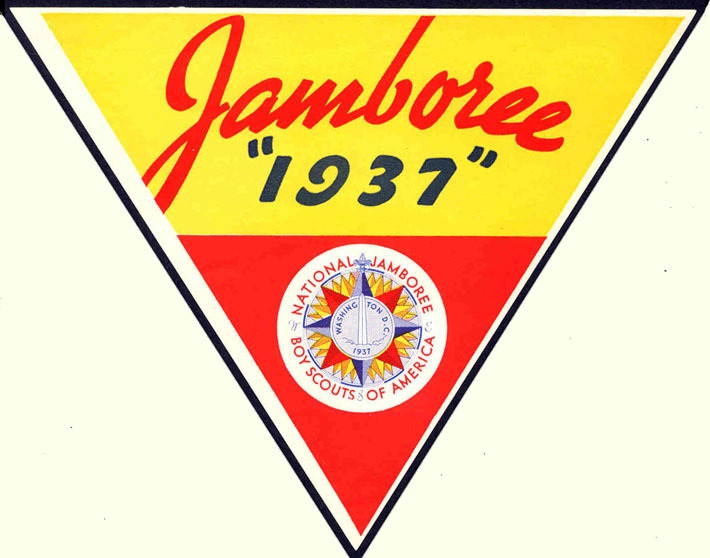 Correction: For S48-2 in the Print Catalog, change the first known year of use from "1937" to "1940". 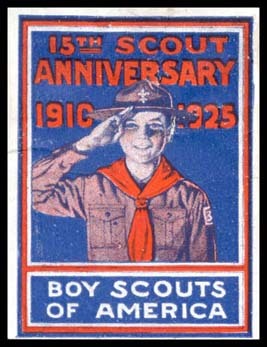 Correction: For S48-3 in the Print Catalog, change the first known year of use from "1940" to "1943". 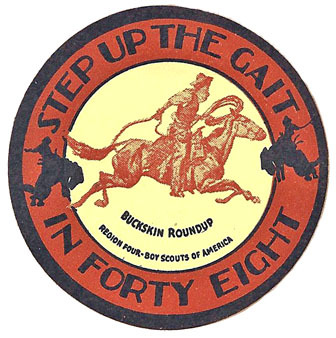 Issued in conjunction with 47-3. See it in the Print Catalog. 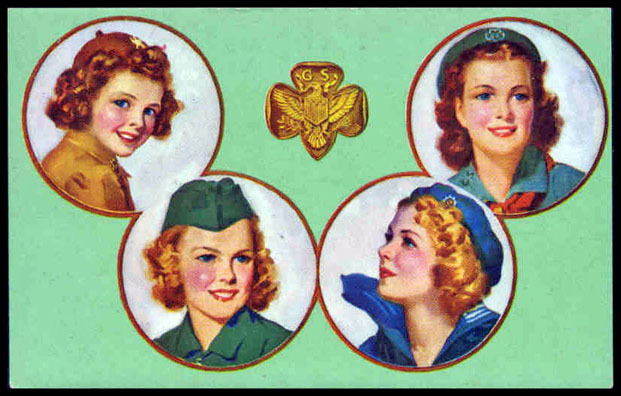 Brownie, Girl Scout, Senior Girl Scout & Mariner are pictured. The differences between S48-2, S48-3 & S48-4 are in the hats, or lack of them. 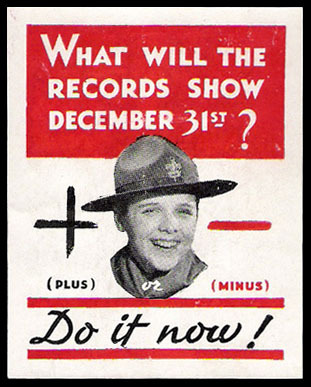 The Brownie hat on S48-2 was a large wool beret. On S48-3 it became the beanie. 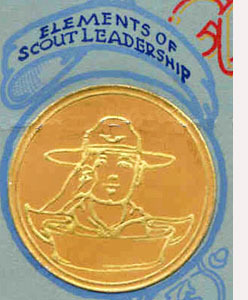 On S48-4 the Girl Scout gets a beret & the Senior gets an over-seas style. 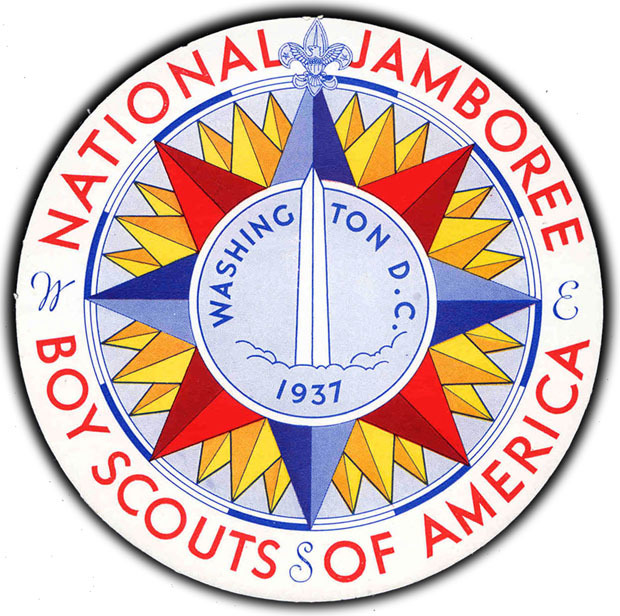 See S48-2 & S48-3 on page 34 of the Print Catalog. No example is known on cover. 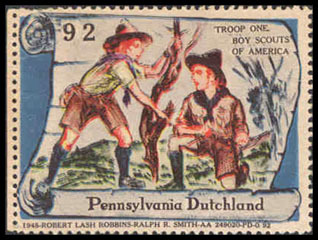 #92 of 100 different Pennsylvania subject 22" x 17" sheet. An album, 4.5" x 8.5", exists for the entire set. 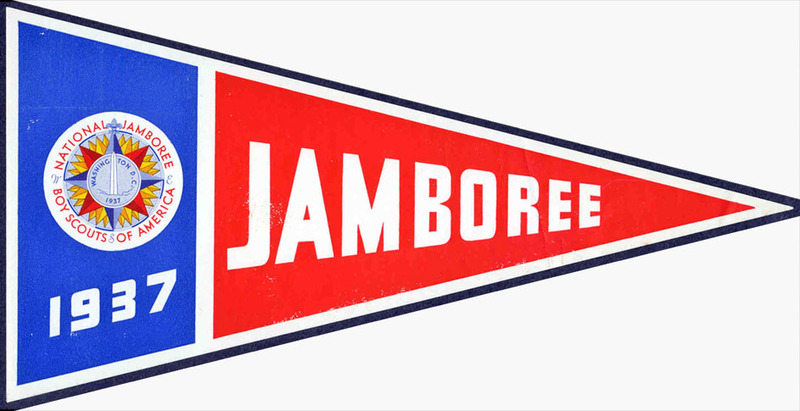 Die cut from Jamboree stationery letter sheet. 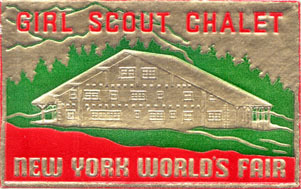 Example on 50FD-123. See it in 1950s decade. 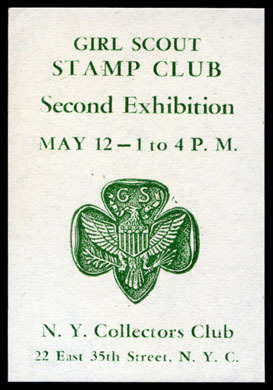 May 12, 1951 N.Y. Collectors Club. 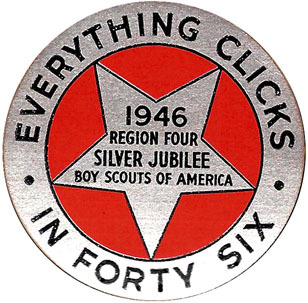 Example on 51-3. 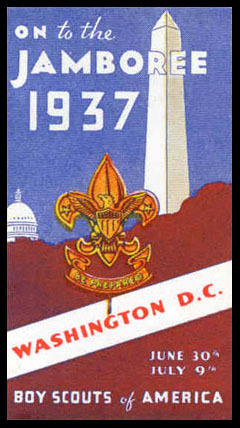 See 51-3 in 1950s decade. 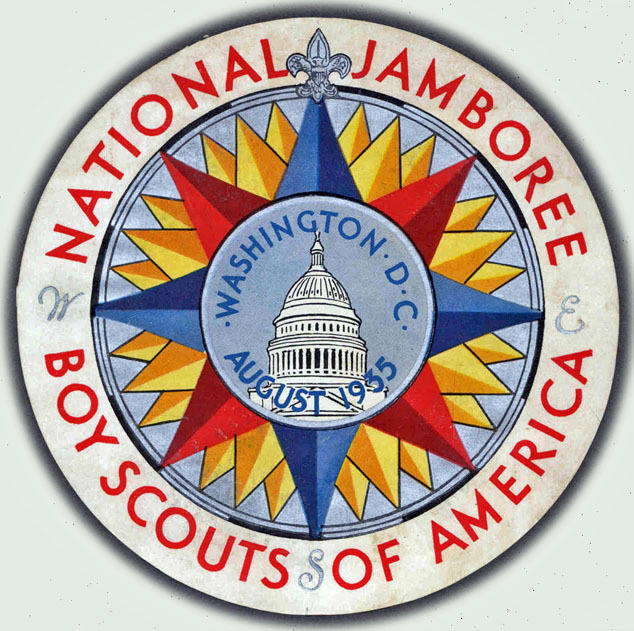 April 10 -May 15, 1954 Smithsonian Institution, Washington, DC. Example on 54-6.1. See 54-6.1 in 1950s decade. 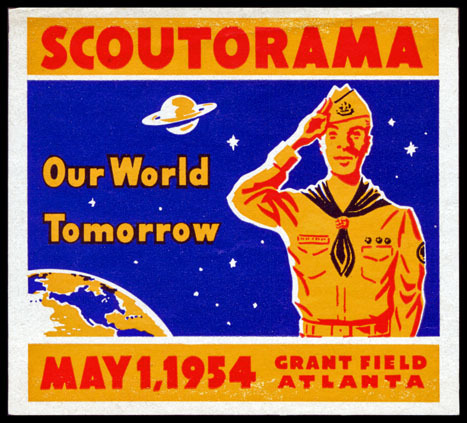 May 1, 1954 Grant Field, Atlanta, GA.
Used on #54-5. See it in the Print Catalog. Yellow & green Size 2.36" x 3.11". 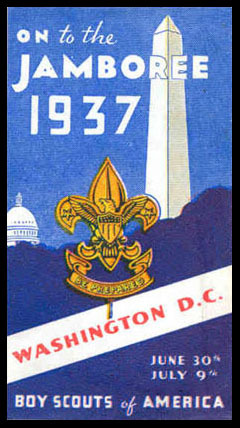 See it on cover 57-62.1 in 1950s decade.